Family Checkup: Positive Parenting Prevents Drug Abuse highlights parenting skills that are important in preventing the initiation and progression of drug use among youth. 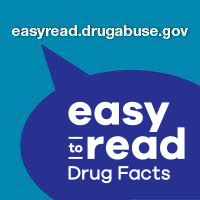 Easy-to-Read Drug Facts web site provides pictures and videos to help readers understand drug abuse, addiction and treatment. It can also read each page out loud for those with reading difficulties. 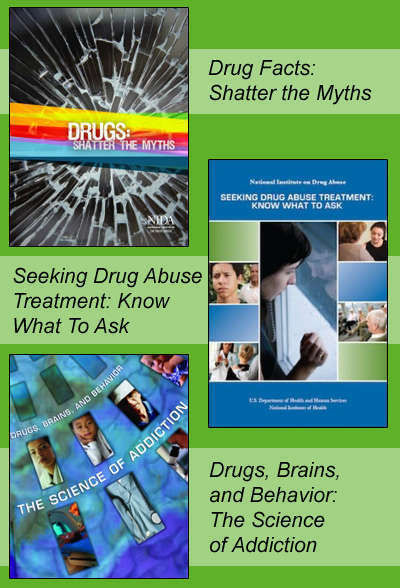 The science of addiction, facts about drugs, and tips for getting treatment are only a few of the subjects covered in NIDA's free publications available for ordering through NIDA's Web site or by calling 1-877-643-2644. These one-page handouts include facts, treatment information, and resources on prescription drug abuse, marijuana, and general drug abuse treatment options. Displaying these posters will help inform your patients about drug abuse and help get the conversation started with at-risk patients.